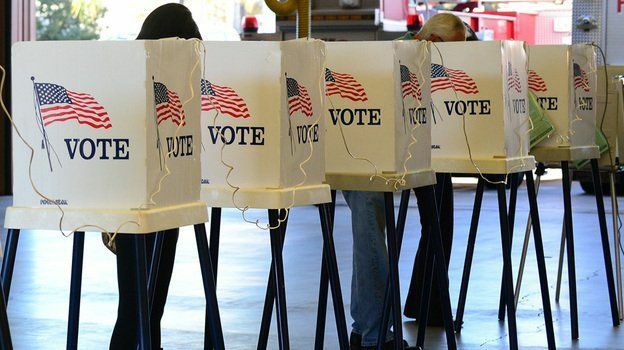 SACRAMENTO – Whereas the national election results shocked and surprised pollsters and many media observers, California’s results from Election Day conformed almost exactly to pre-election polls and predictions. Some of the big races were foregone conclusions, such as Attorney General Kamala Harris’ 25-percentage-point rout of Rep. Loretta Sanchez for the vacant U.S. Senate seat. But the state ballot initiatives went as expected, too. Californians voted in ways that would be expected for such a strongly Democratic-leaning electorate, except on the issue of the death penalty. That isn’t too surprising, either, given that Californians — despite their left-of-center tilt — have long been supportive of tough-on-crime measures and have consistently supported the death penalty. Voters rejected, by 54 percent to 46 percent, Proposition 62, which would have repealed the death penalty and replaced it with life in prison without parole for murderers. They approved, with nearly 51 percent of the vote, the alternative Proposition 66. That measure streamlines the appeals process so the state can more quickly execute death row inmates. Despite such “toughness,” voters overwhelmingly approved Gov. Jerry Brown’s sentencing-reform measure (Proposition 57) that would allow early release for some felons. There have been some increases in crime rates following the passage in 2014 of Proposition 47 (reducing some drug felonies to misdemeanors), but California voters remain committed to reducing some types of prison sentences. On Election Day, voters also were strongly supportive of tax and spending measures. They approved, 54 percent to 46 percent, Proposition 51, which authorizes $9 billion in general-obligation bonds to modernize K-12 public schools. State bond measures are not direct tax increases, but they do increase the debt secured by the state’s general fund. That means legislators will have to allocate money to pay the service on the debt. They create pressure for tax hikes, or for spending cuts in other areas. Voters also approved Proposition 55 by a hefty margin (62 percent to 38 percent), which will extend by 12 years the “temporary” personal-income tax increases included in the tax-raising Proposition 30 from 2012. The increases are applied on earnings of more than $250,000 for single filers and more than $500,000 for joint filers. Voters also agreed to boost the cigarette tax by $2 a pack — and other tobacco and nicotine products by equivalent amounts — by approving Proposition 56. In a fairly close tally (51 percent to 49 percent), voters rejected Proposition 53, which was opposed by the business community and labor unions and would have subjected major infrastructure projects ($2 billion or more) to a statewide vote if they used revenue bonds. Such bonds are funded by revenues from the project (i.e., tolls) rather than general tax revenues. A variety of local tax increases also passed. California voters have moved a long way from the days of the 1970s-era tax revolt. On social issues, Californians voted Tuesday in a reliably liberal way, as well. They supported, 63 percent to 37 percent, Lt. Gov. Gavin Newsom’s measure (Proposition 63) requiring background checks to purchase ammunition. They rejected an effort, by 8 percentage points, to require actors in adult films to wear condoms. They upheld a controversial new law (Proposition 67) banning grocery stores from handing out those single-use plastic bags and turned back an effort by the plastic-bag industry (Proposition 65) to redirect any bag fees from grocery stores to a state environmental fund. The latter was designed as payback to grocers and grocery unions for their role in the legislative deal that led to the plastic bag ban. In another victory for liberal activists, voters approved — by an overwhelming 72 percent to 28 percent margin — Proposition 58, which overturns the state’s ban on bilingual education in public schools. That’s an educational program in which immigrant kids are taught largely in their native language. It was largely banned in 1998 by Proposition 227, whose supporters were concerned that native Spanish speakers were not learning English quickly enough. Prop. 58 did not get much attention this year, and its ballot designation suggested that a vote for 58 was a vote for preserving English proficiency. Voters did, however, OK a significant political-reform measure by a wide margin (64 percent to 36 percent). Proposition 54 requires that the final version of any bill in the state Legislature be available in print for 72 hours, thus eliminating those controversial gut-and-amend bills in which new language is inserted at the last minute without public or media scrutiny. The measure also gives the public expanded rights to record the Legislature. California voters also joined voters in Massachusetts, Nevada and (probably, based on close results) Maine in legalizing the recreational use of marijuana. Several other states approved medical marijuana – something that’s been legal in California since Proposition 215 passed in 1996. Given California’s immense size, this vote (Proposition 64) is viewed as a massive boost to an already-emerging marijuana industry – and to similar votes in other states in coming elections. Voters approved Proposition 52, which extends a Medi-Cal hospital fee program that allows the state to collect federal reimbursements. It was backed by most of the state’s political establishment. Also passed was Proposition 59, which was an advisory vote asking whether state officials should support a constitutional amendment overturning the U.S. Supreme Court’s Citizens United decision, which invalidated certain limits on campaign spending. This was a largely meaningless initiative, but it garnered 52 percent of the vote. Finally, voters rejected, 54 percent to 46 percent, a measure (Proposition 61) that would have capped the prices state agencies pay for prescription drugs. Opponents ran an aggressive campaign that no doubt contributed to its failure. None of this was particular surprising, which is a surprise in and of itself. As the rest of the country defied the predictions, California went along with flow. Yes the California educated sheep were out to pasture again. The increased taxes and bonds will continue to drive businesses from the state finally securing California’s place as a third world country. wow I guess you haven’t heard. California has the 7 largest economy in the World. Where have you been living that you don’t know that. I don’t approve of tying up freeways, etc. Those that do should be punished. Other than that–non-violent protest is the right of the people. As for you, I guess you live in a hollar somewhere in KY–must be awfully exciting.